Woman of the year by American Biographical Institute INC.
Joan Campbell MBE trained at the Elmhurst Ballet School in Camberley (UK) where she later started her career as a teacher. Arriving in Hong Kong 1954, Joan pioneered the R.A.D method of Dance in Hong Kong. She has done much to promote the art of dance since becoming principal of the Carol Bateman School of Dancing in 1967. 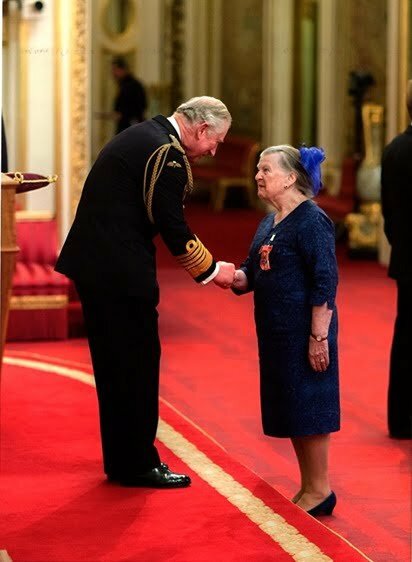 She has just completed 60 years of teaching in HK and Joan received MBE Honors in June 2016 from Queen Elizabeth for her services to dance in Hong Kong.Her greatest joy is to be able to pass on her knowledge to a new generation of dancers.